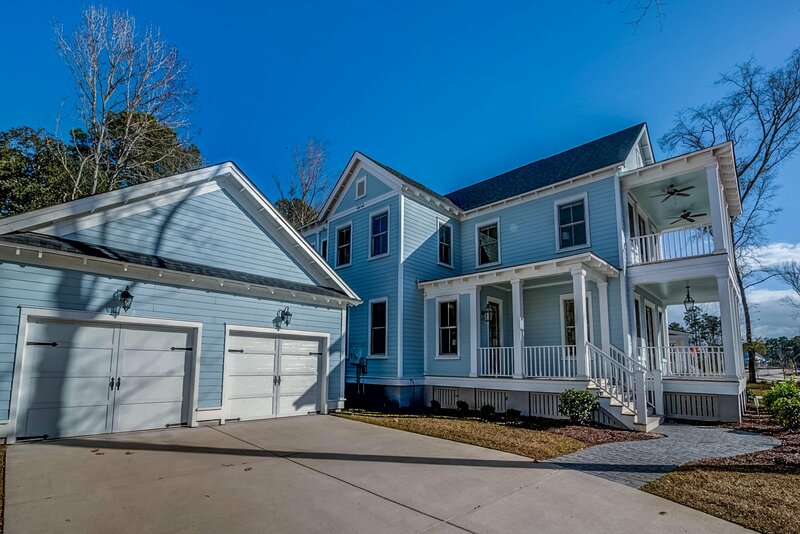 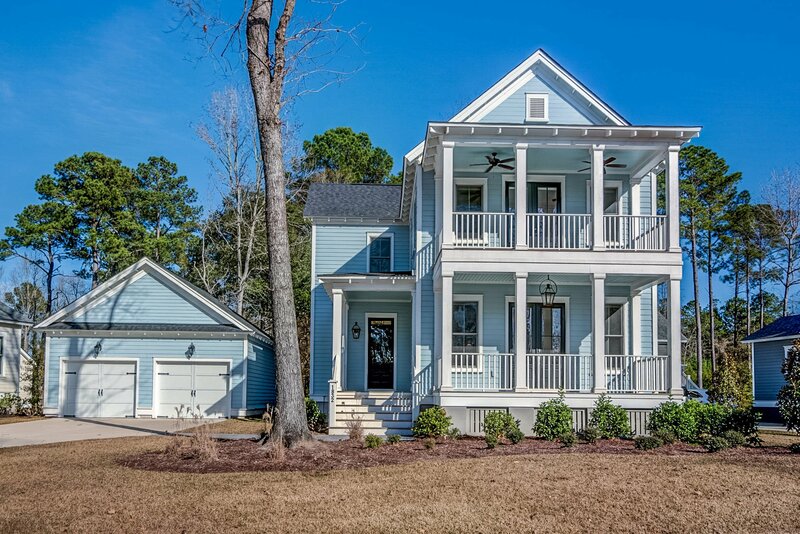 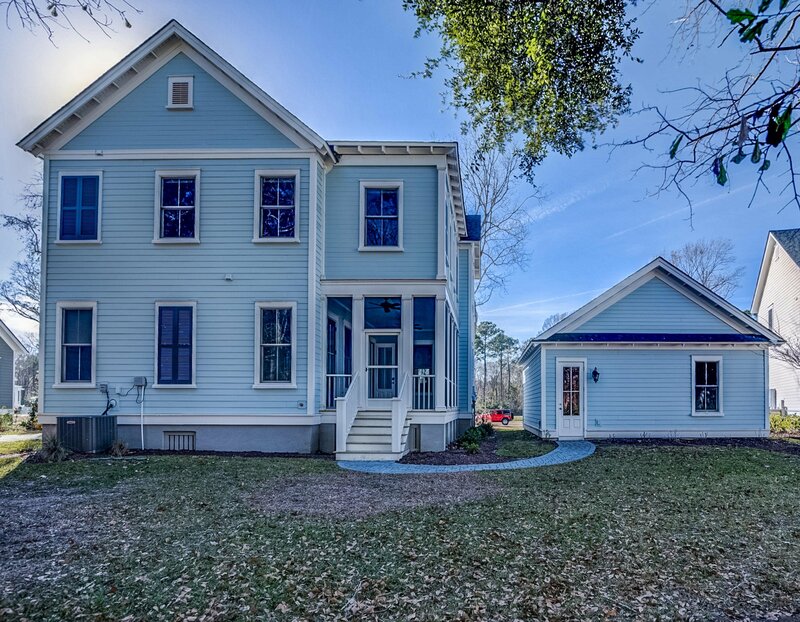 Nestled into a park-like setting in the prestigious Riverside at Carolina Park, this stunning custom home exudes southern charm and refined style. 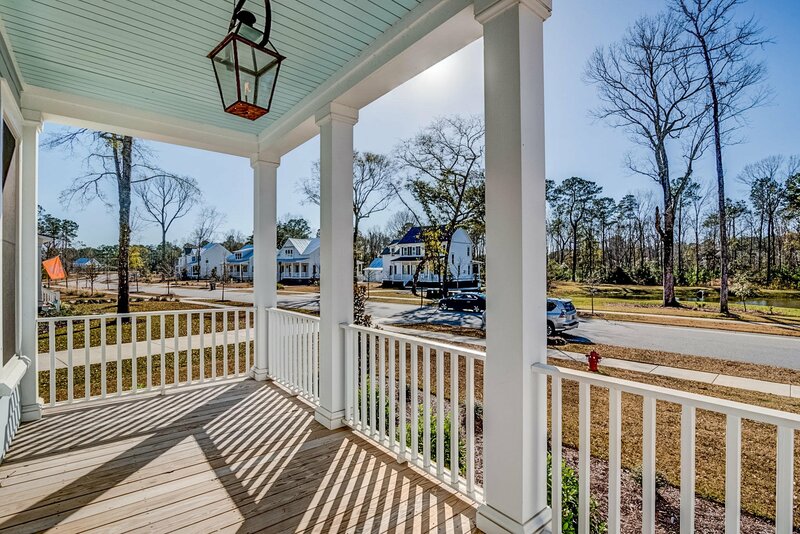 Double stacked piazzas, awash in the soft glow of traditional gas lanterns, beckon you to sit a spell, sip a glass of tea and enjoy the view of egrets and herons fishing in the pond directly across the street. 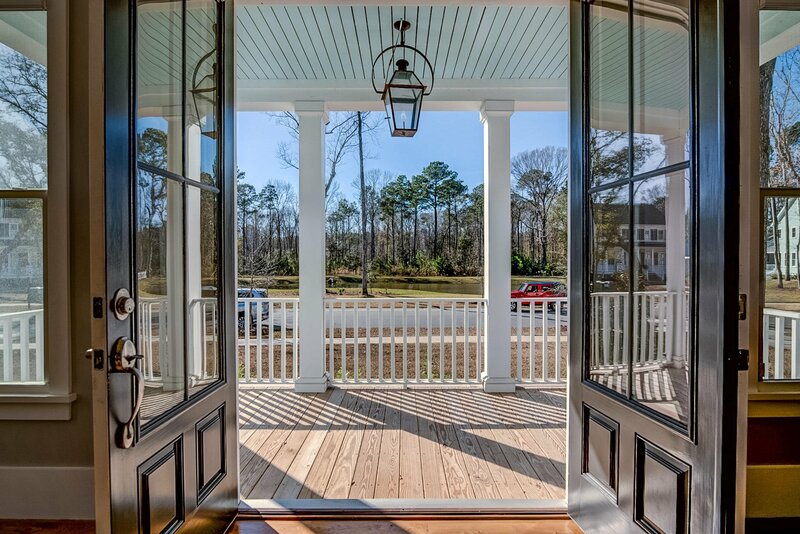 Step through the double, glass inset front doors and you'll be welcomed into an open and expansive main floor. 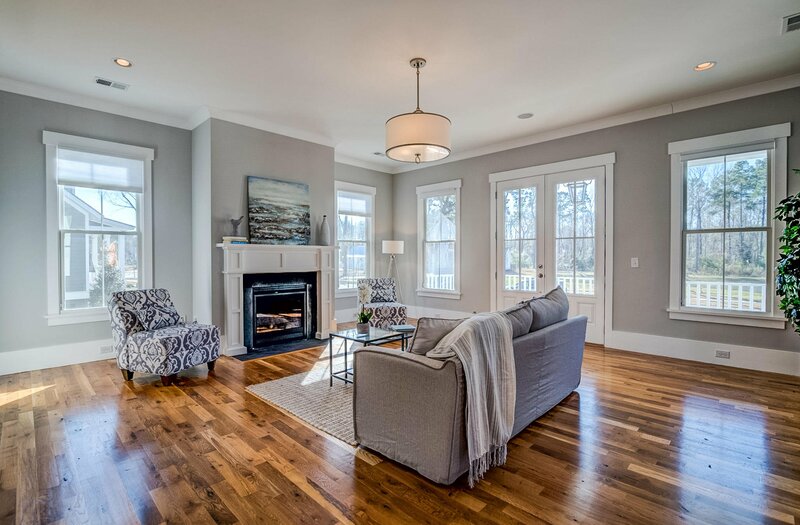 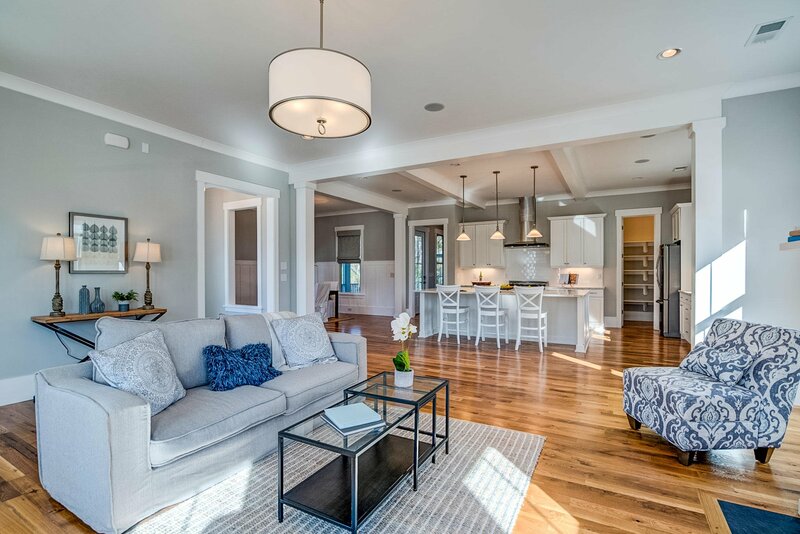 Gorgeous hardwood floors and custom specialty millwork abound including crisp crown moulding, tall baseboards, column framed cased openings and distinguishing ceiling treatments. 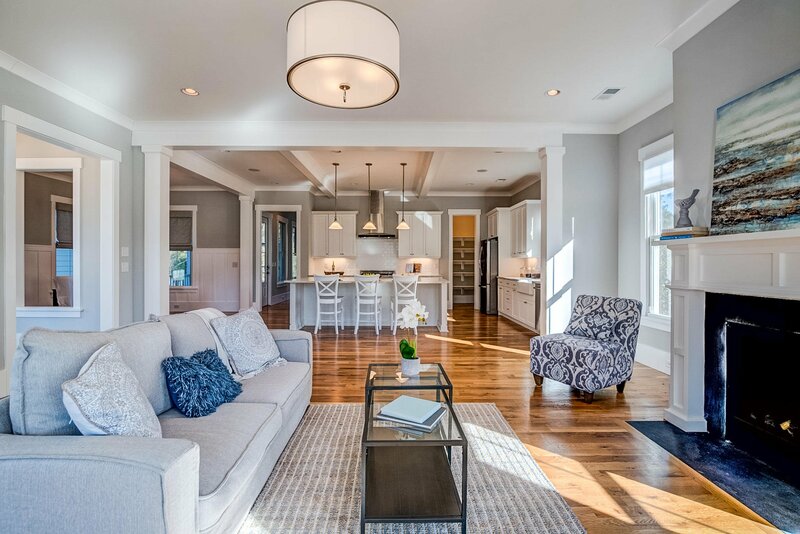 A casual elegance is achieved in this home's design plan through the use of high end fixtures and finishes all while remaining true to the coastal cottage feel with elements such as clean lines, a crisp neutral color scheme and perfectly placed rustic accents. 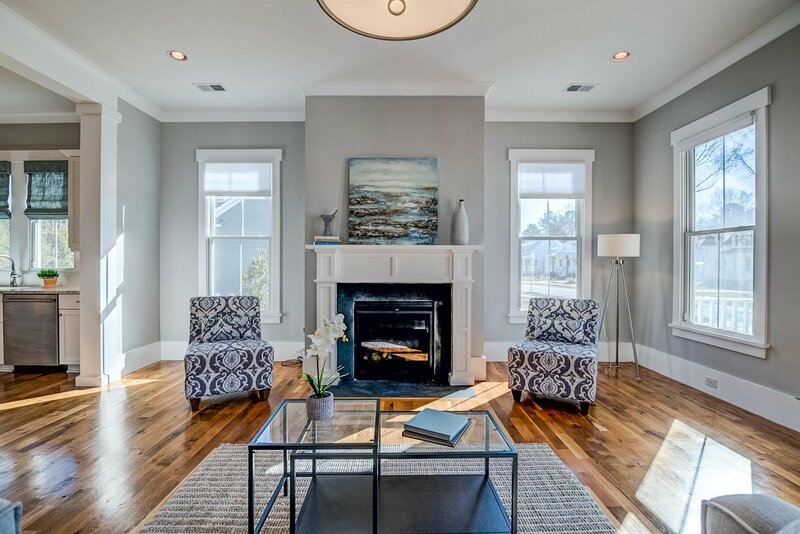 The living area is spacious and features a focal point gas log fireplace with stone surround and custom mantle. 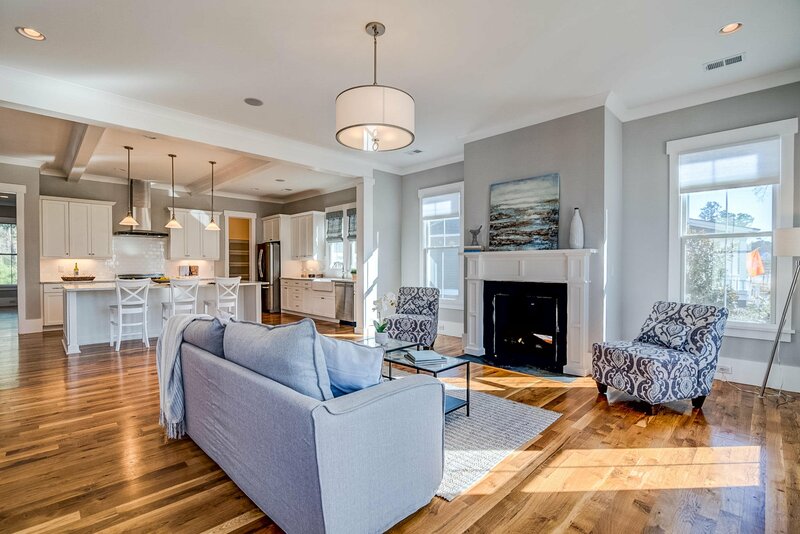 With more than enough room to accommodate a large group, invite everyone over to watch the big game or gather around a roaring fire for family game night. 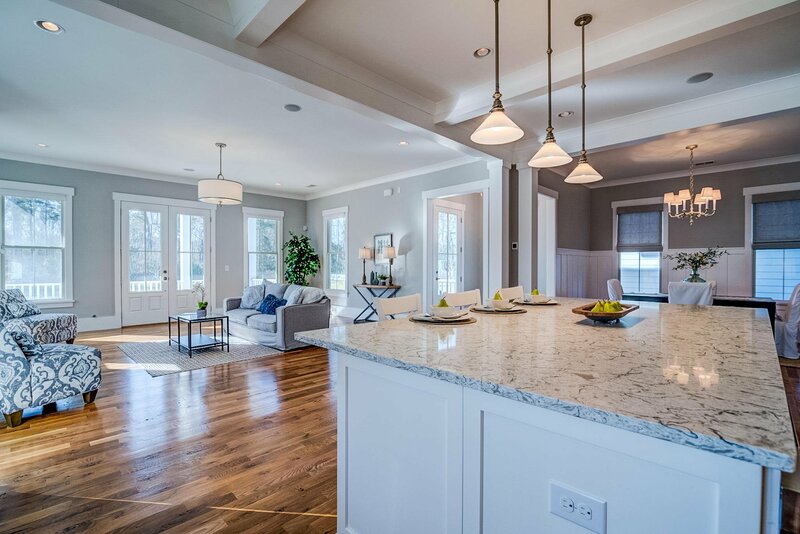 The living area is open and flows seamlessly into the kitchen. 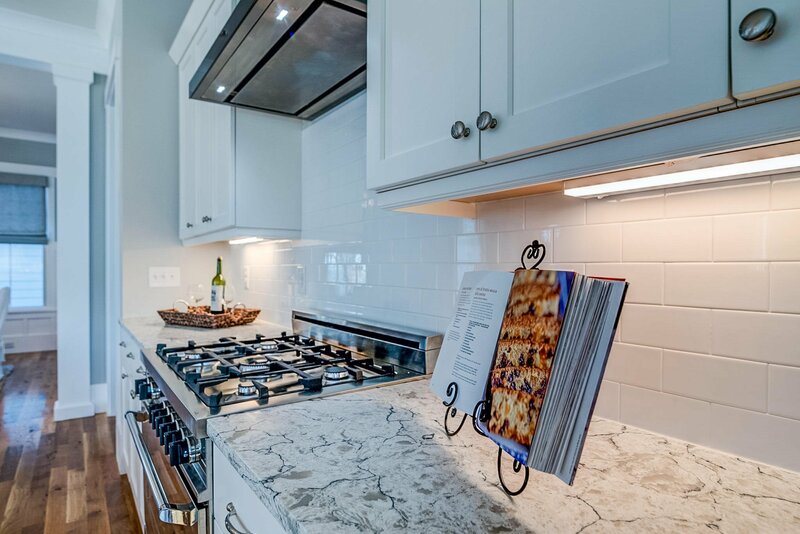 The most discerning home chef will delight in the ultra stylish, yet timeless finishes found in the true gourmet kitchen. 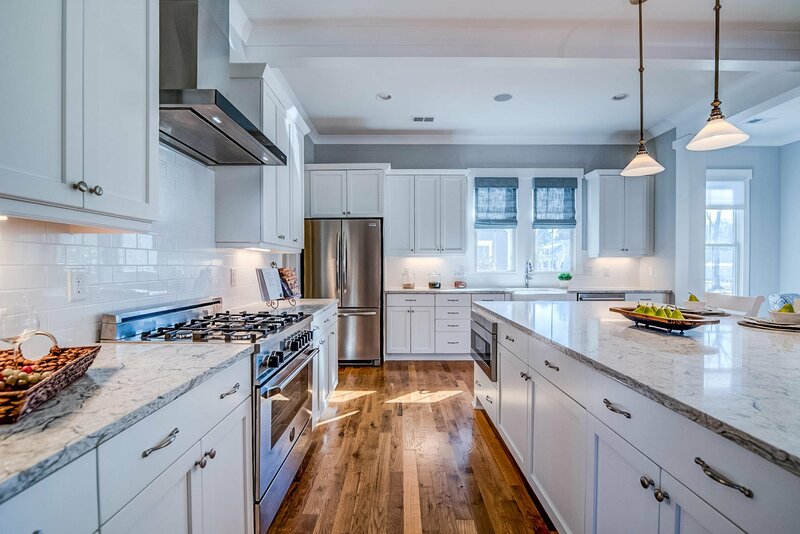 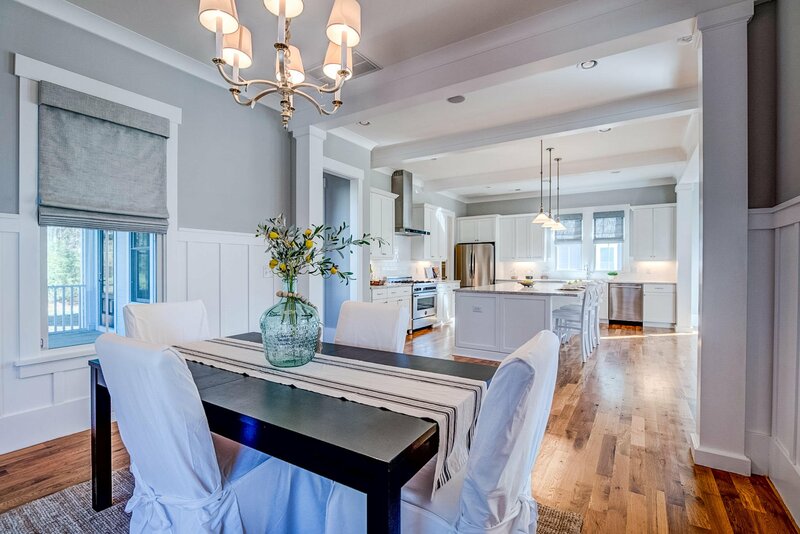 White, recessed panel shaker style custom cabinetry contrasts beautifully with the rich tones of the hardwood floors. 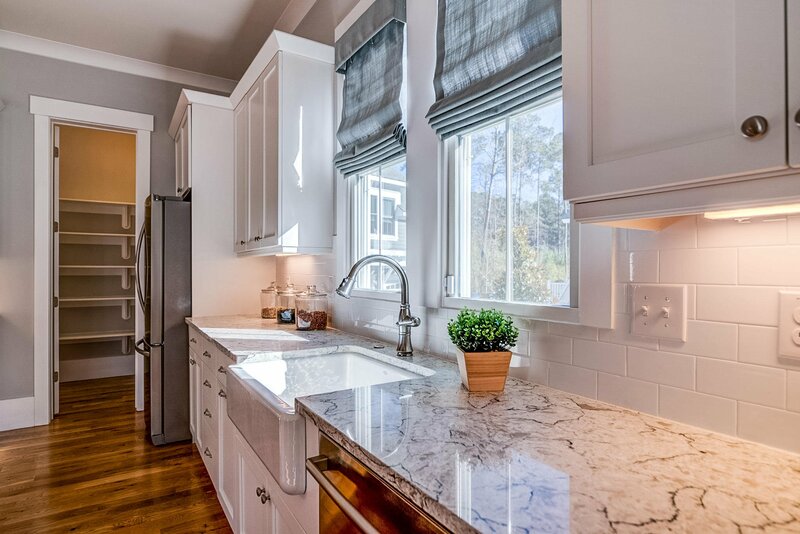 Stunning quartz countertops and sleek, upgraded professional style stainless steel appliances including a six burner dual fuel range and custom vent hood provide a modern edge while classic appointments such as the apron front farmhouse sink and subway tiled backsplash give a touch of old world charm. 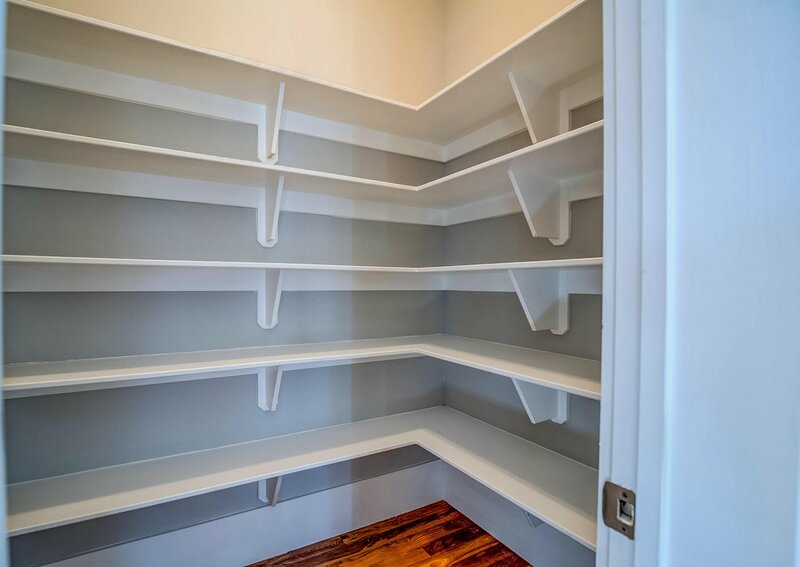 A walk-in pantry and beam-styled ceiling treatments are a nod to both the functional and beautiful details found throughout. 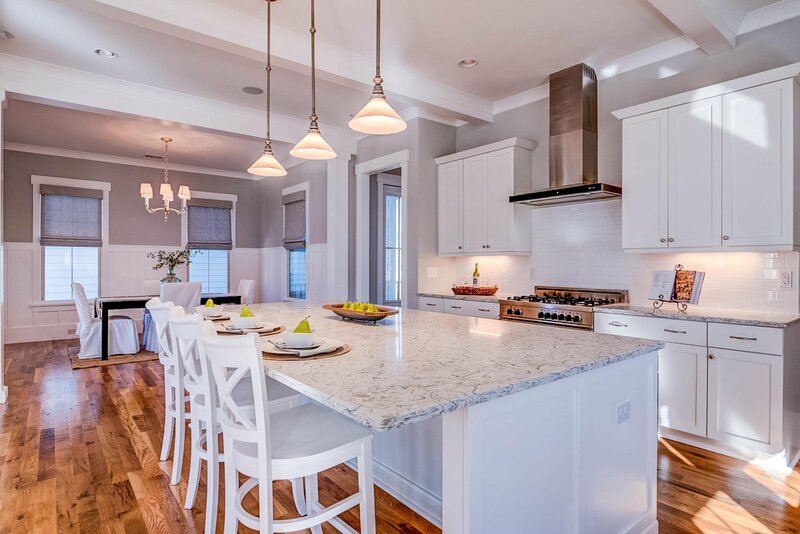 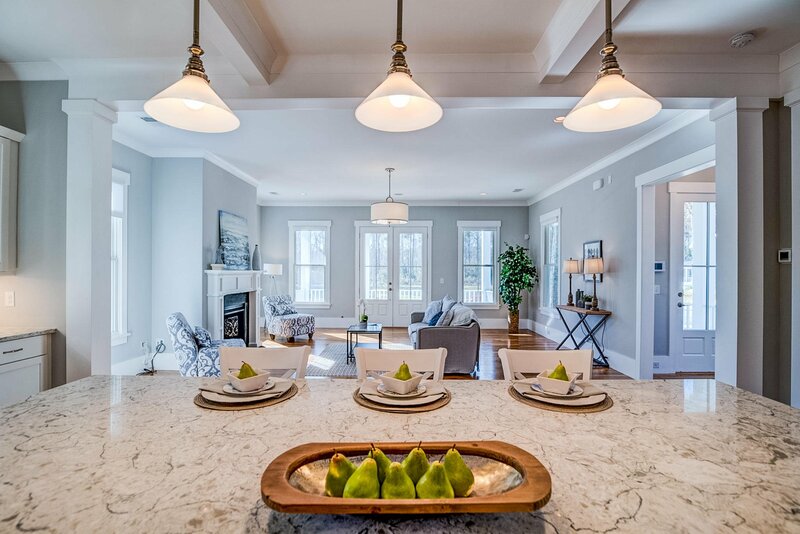 An oversized center island anchors the space and provides an excellent place for casual dining or for kids to do homework while you prepare dinner. 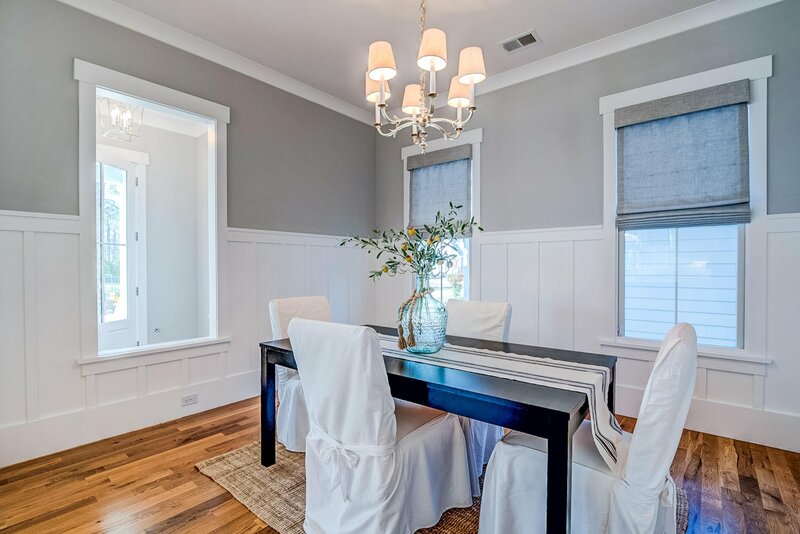 Adorned with 5' of board and batten wall treatment, this home's formal dining room is perfect for gathering family and friends for special occasion dinners and holiday celebrations. 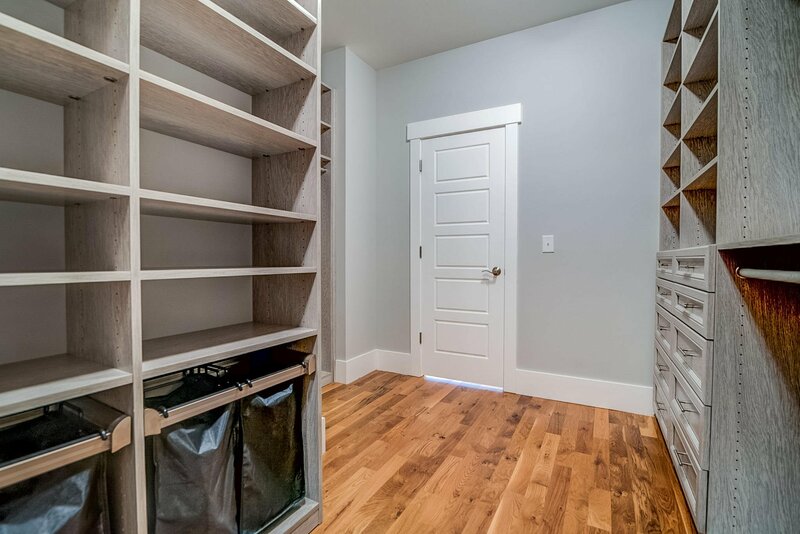 Designed with both entertaining and everyday living in mind, this home boasts a side entrance which opens into a custom built-in drop zone. 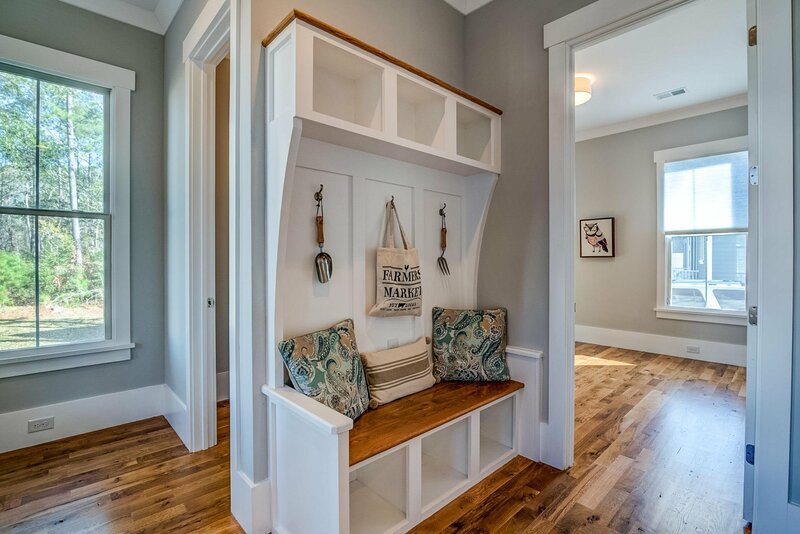 The bench, hooks and storage cubbies provide a place to gather shoes and backpacks so none of the clutter spills into the main living area. 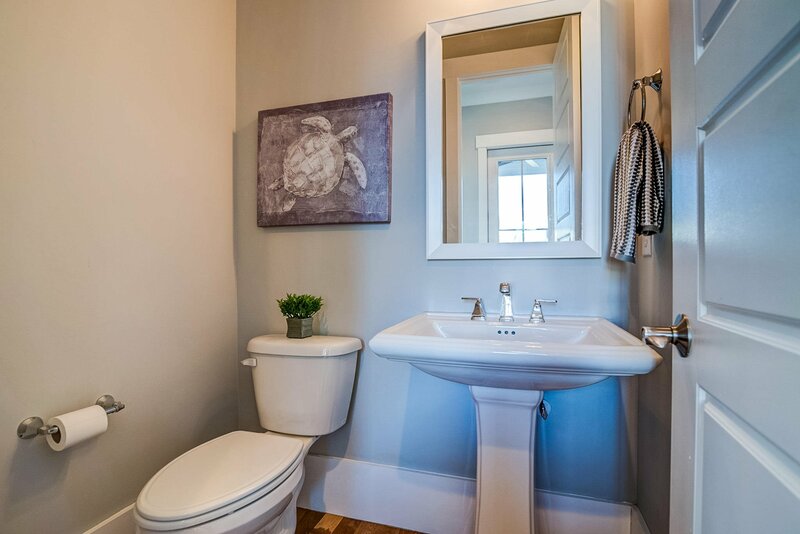 A guest powder room is tucked discretely behind this well placed feature. 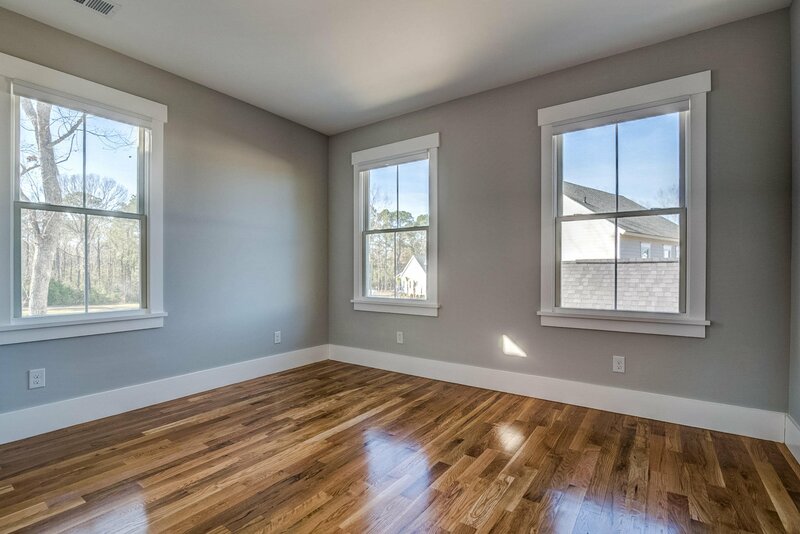 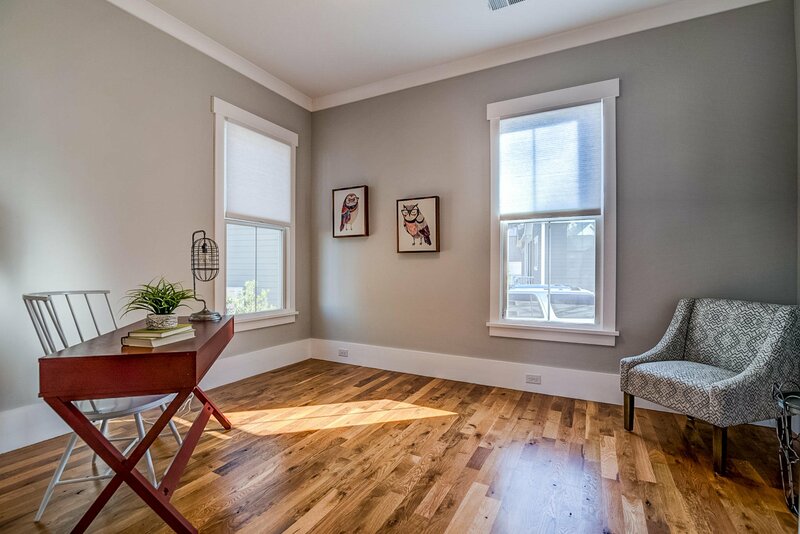 In addition, the main floor offers a flex room that it is ideal for use as a study, home office, playroom, exercise room, guest bedroom... the possibilities are endless! 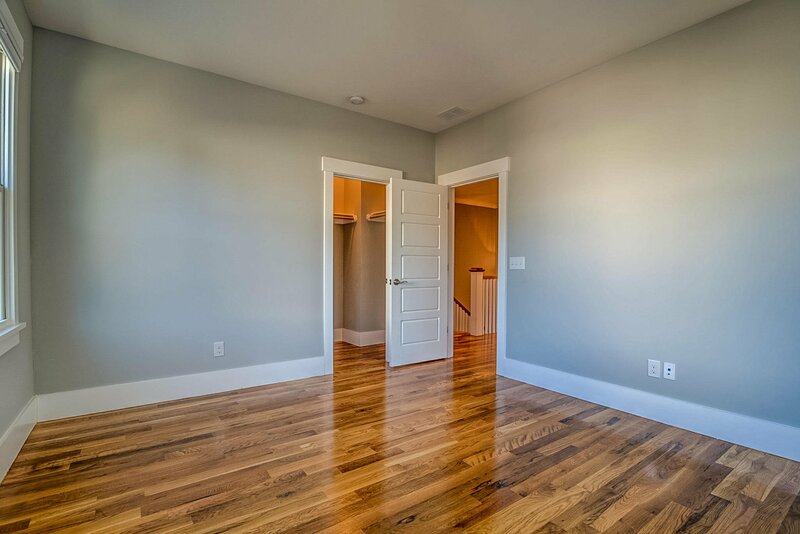 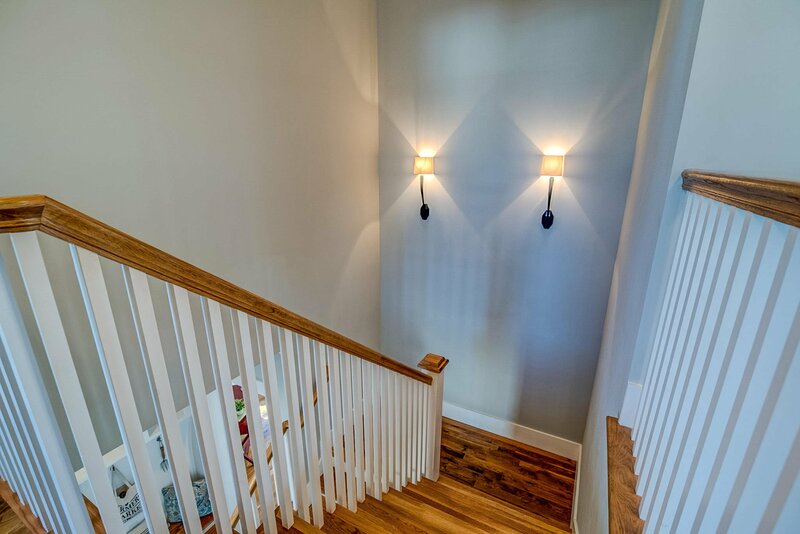 Upstairs you'll find four bedrooms, the first of which is a master suite befitting a home of this caliber. 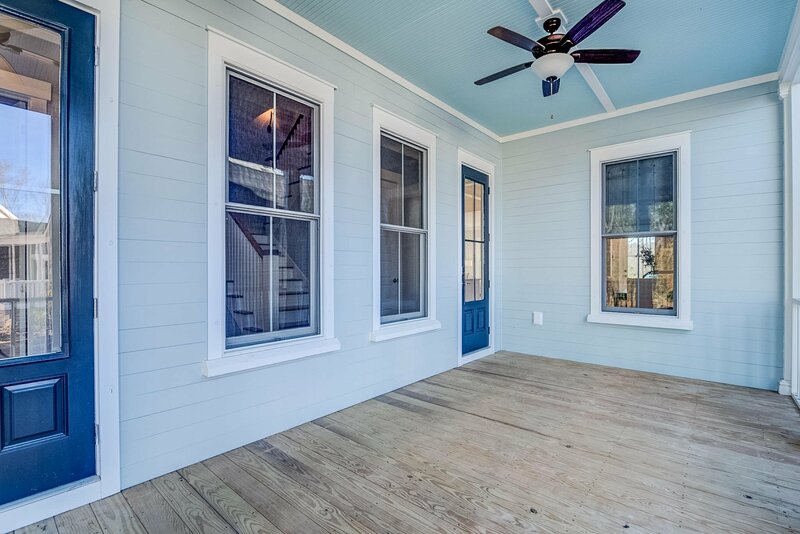 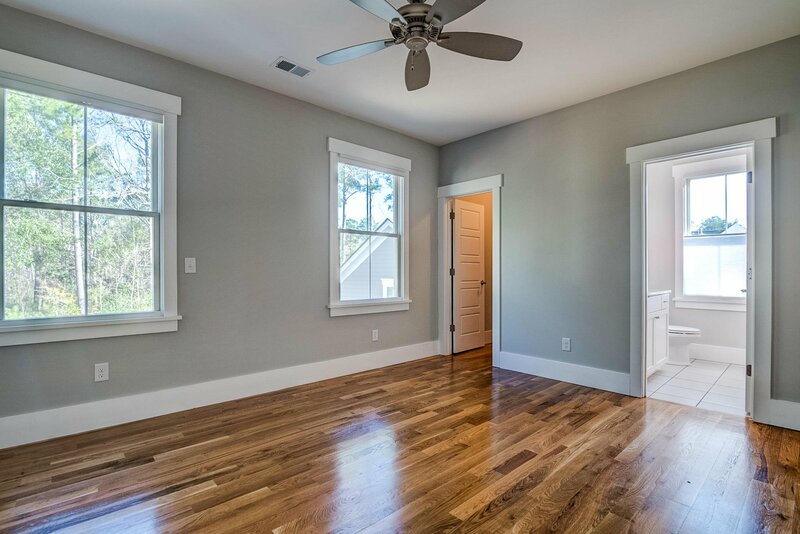 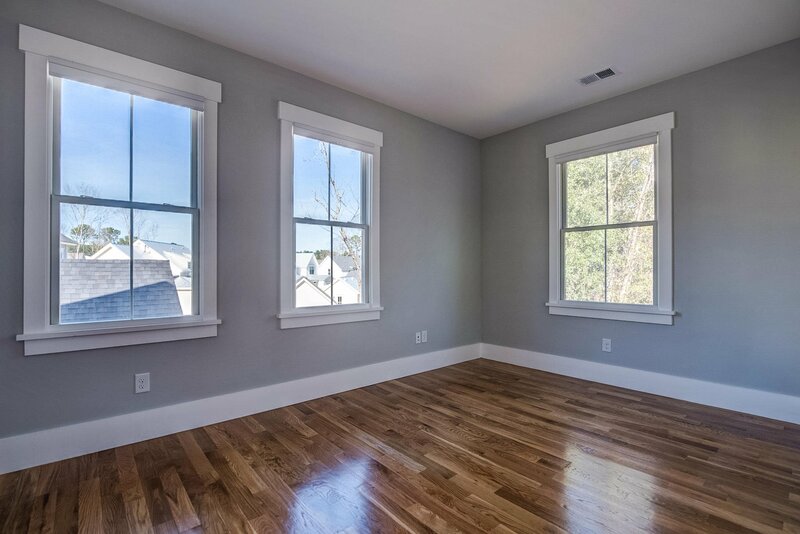 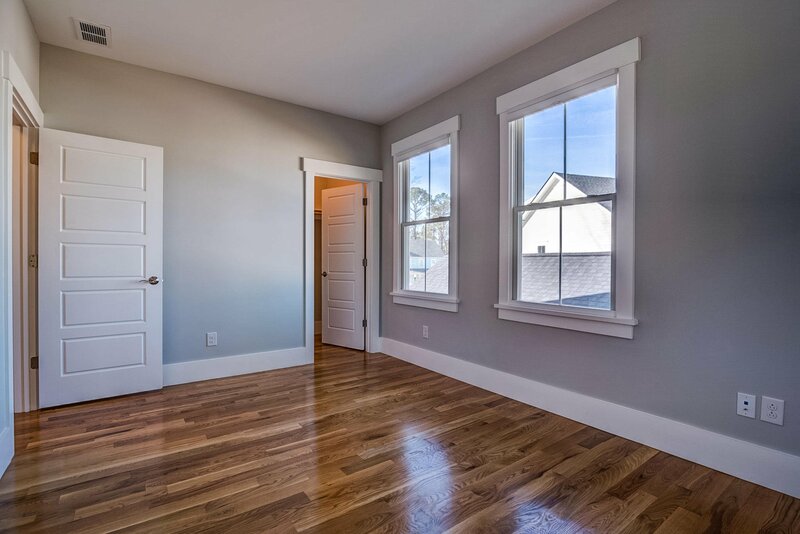 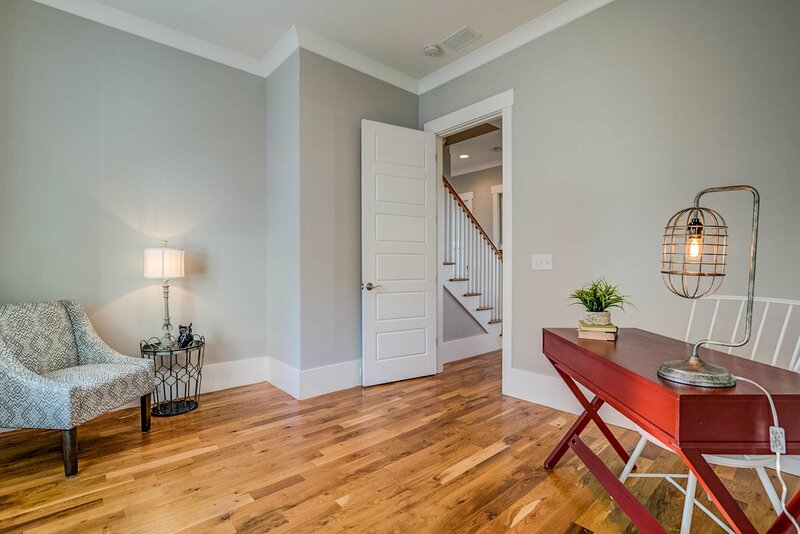 Generously sized with hardwood floors, tons of natural light and access to the upstairs front porch, this space will become your private oasis for relaxing and recharging. 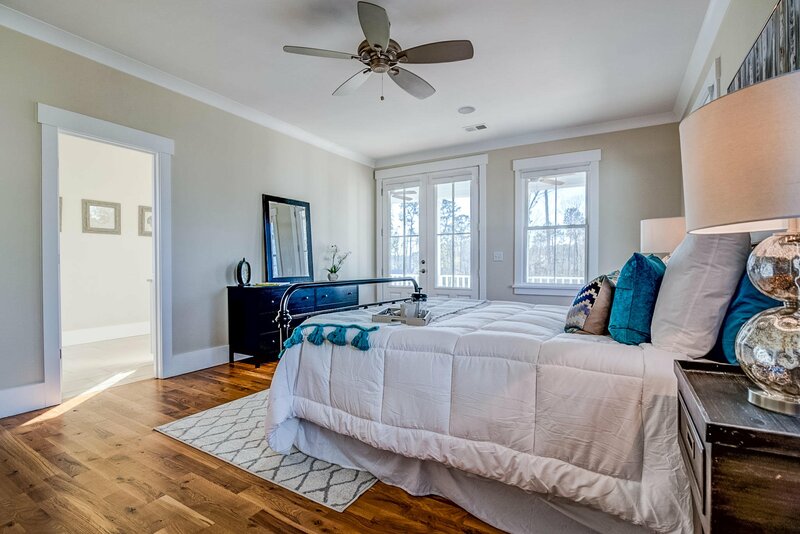 The master bedroom boasts an en-suite, spa-like bathroom and walk-in closet. 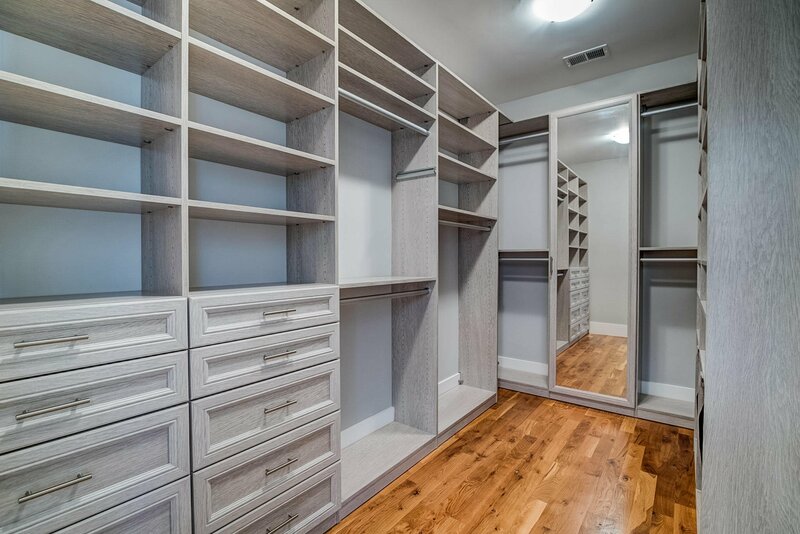 The master closet is a fashionista's dream and is outfitted with a custom closet system including built-in shelving and drawers. 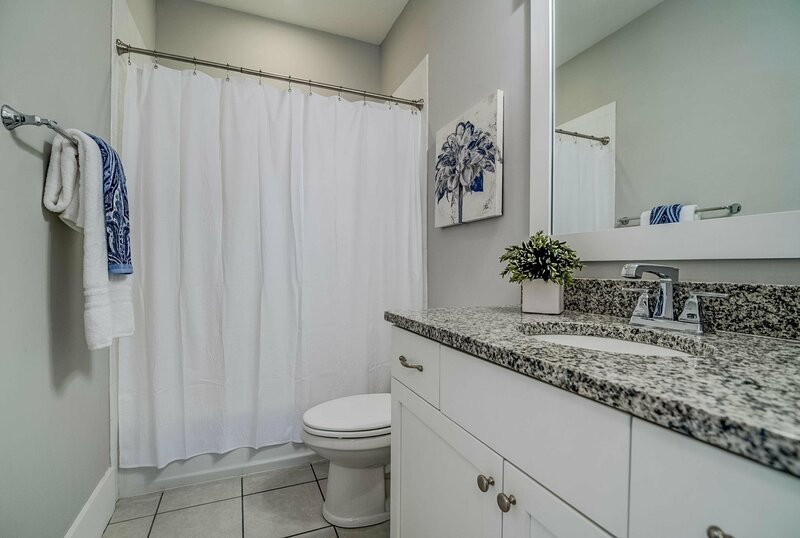 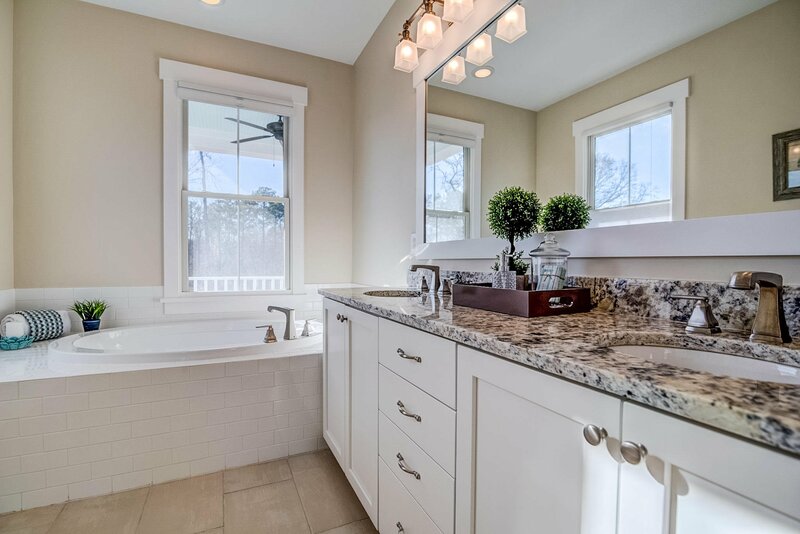 The bathroom itself is impressive and features a dual sink vanity with granite countertops, a deep soaker tub, tile and glass walk-in shower and private water closet. 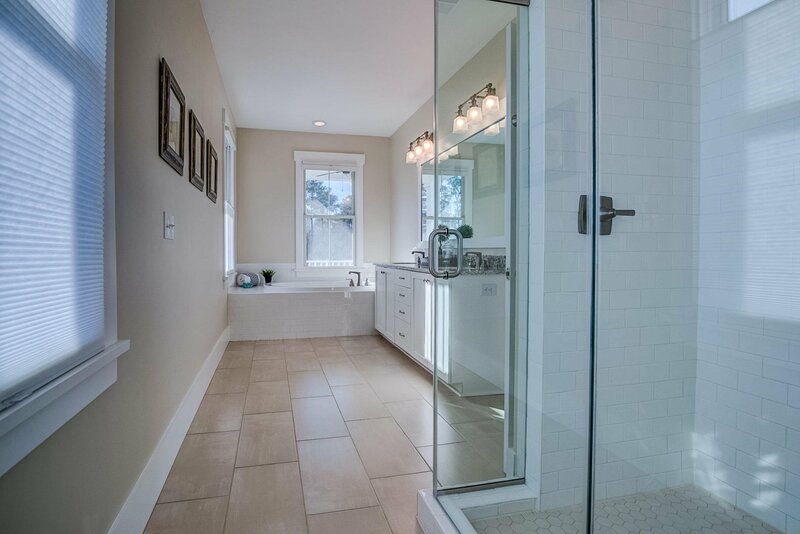 Luxury hotel styled fixtures and finishes lend a spa-like feel for a relaxing place to start and end each day. 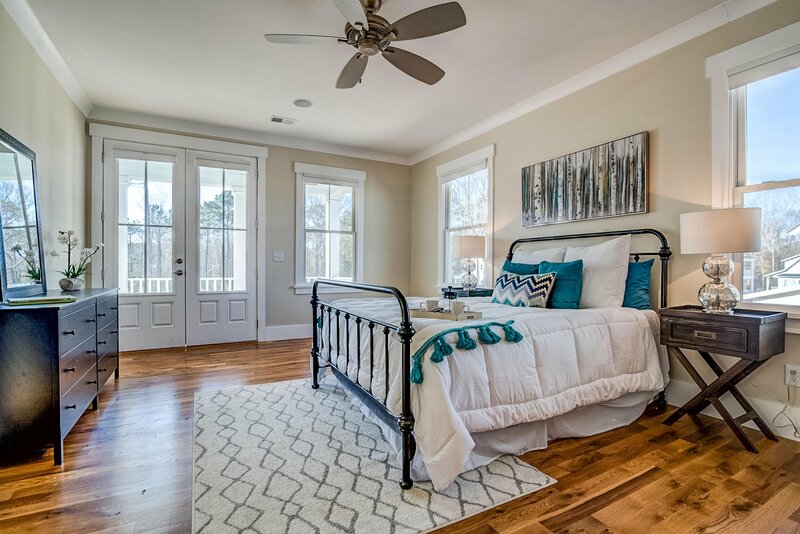 The second bedroom features its own private en-suite bath and walk-in closet and could serve as the perfect guest suite or teen retreat! 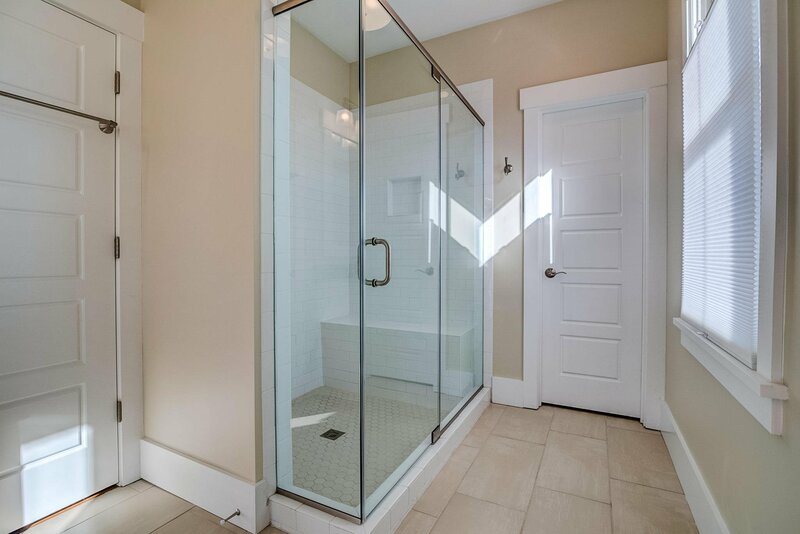 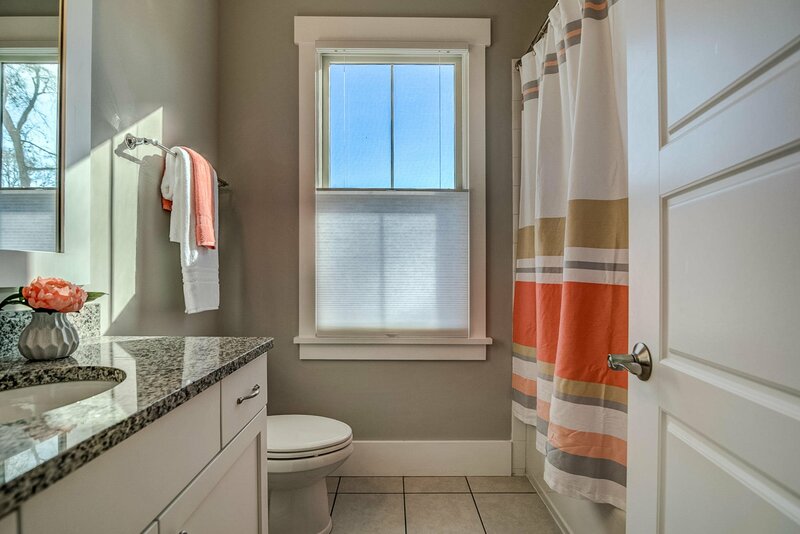 Two additional bathrooms share a full bathroom, all appointed with the same elegantly simple finishes. 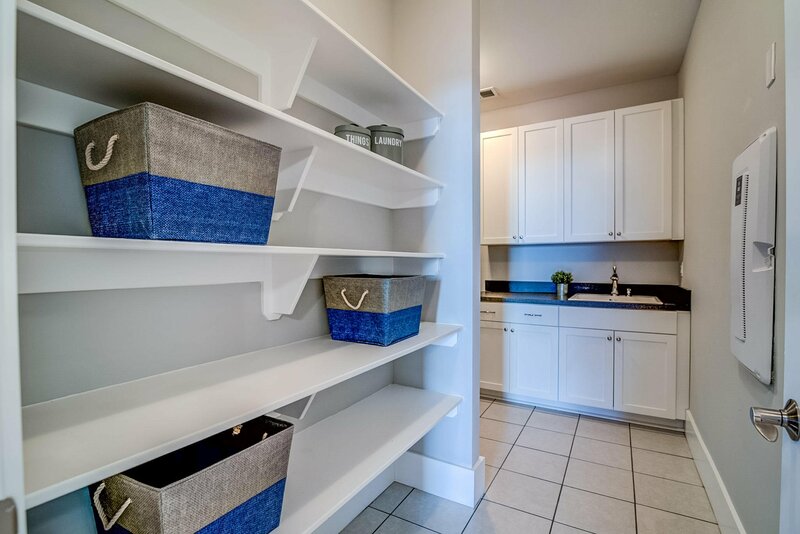 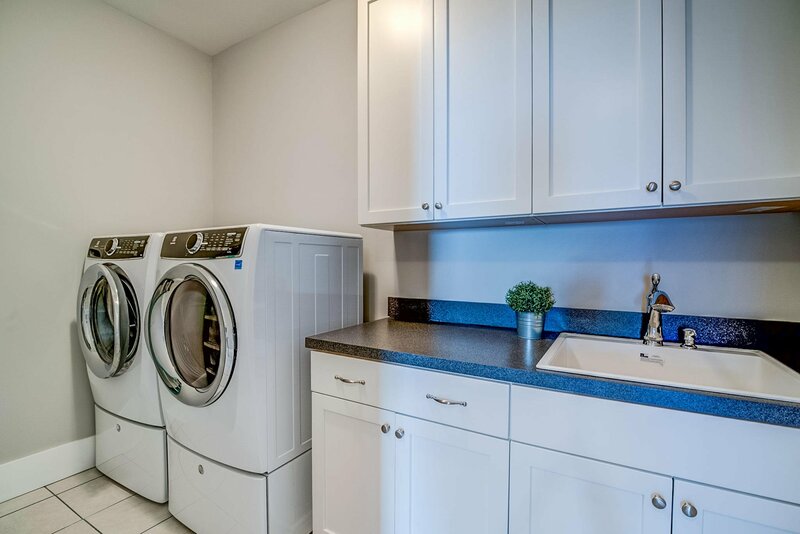 Completing the second floor is a large and super functional laundry room which offers plenty of storage with built-in shelves, cabinets and countertop as well as a dedicated utility sink. 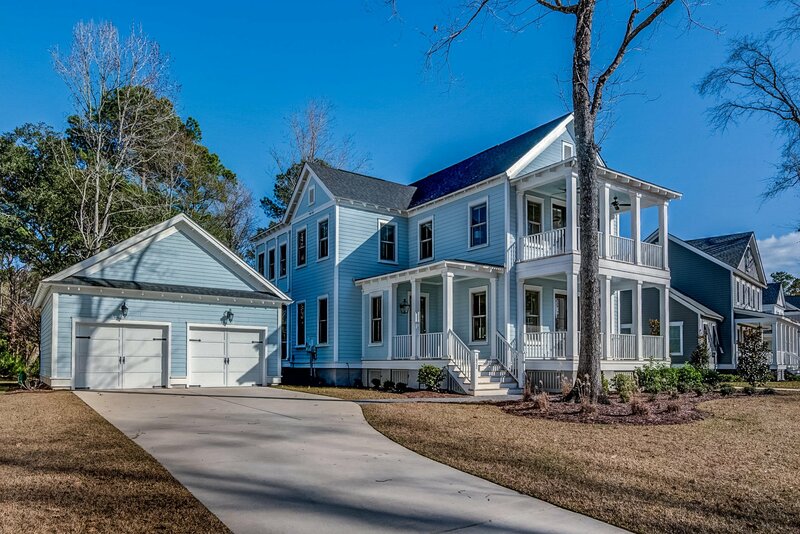 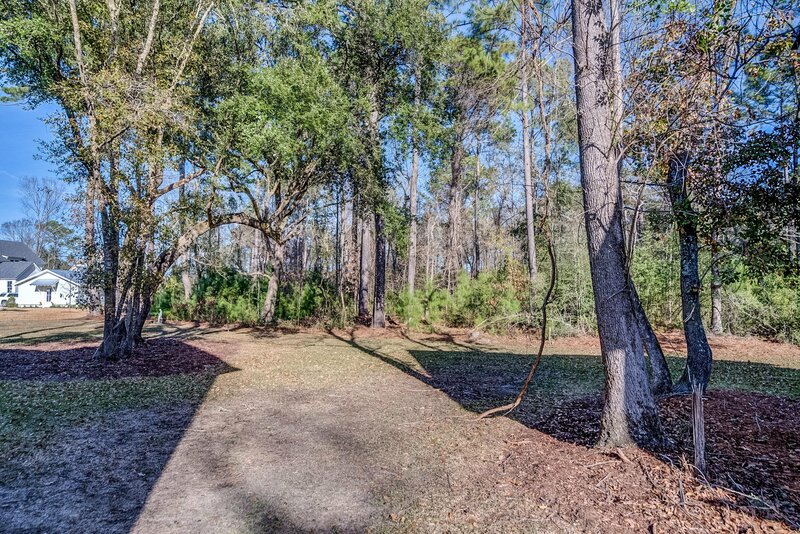 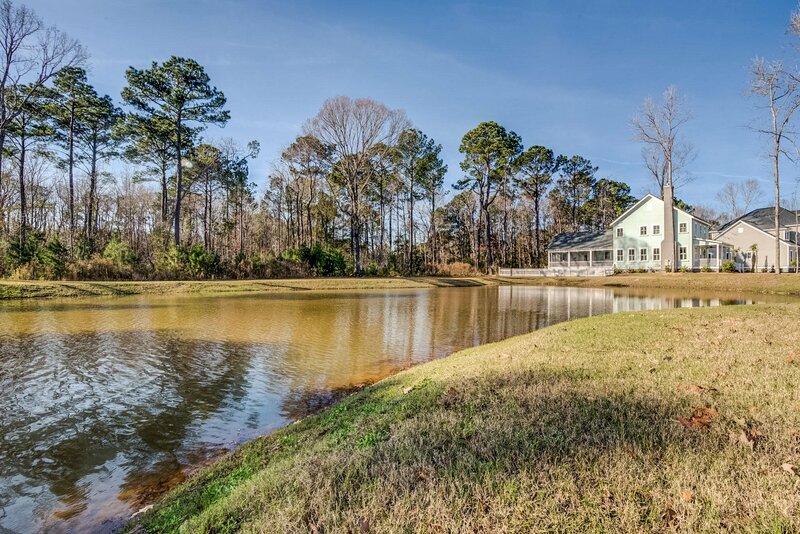 Taking full advantage of living the Lowcountry lifestyle means lots of time spent outdoors and this home offers an abundance of options for doing just that. 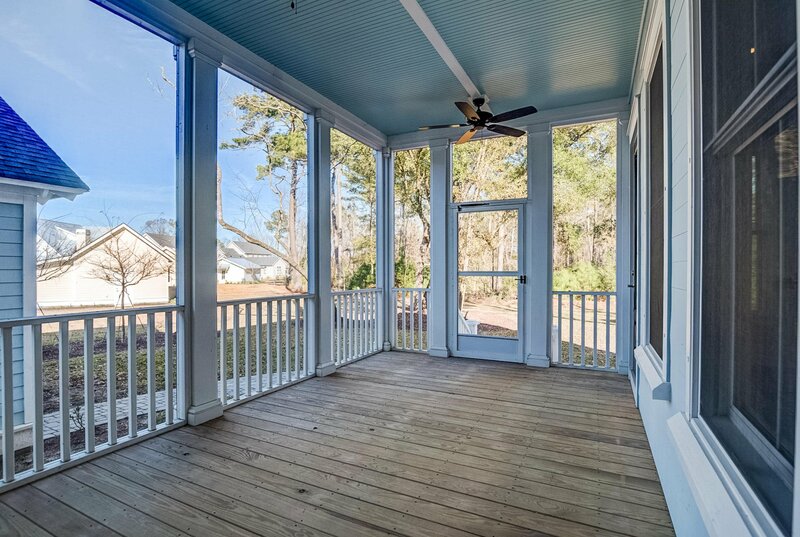 The two deep front porches offer plenty of room to set up comfortable seating areas for an outdoor living room - throw open the double doors and let the party spill out onto the porch! 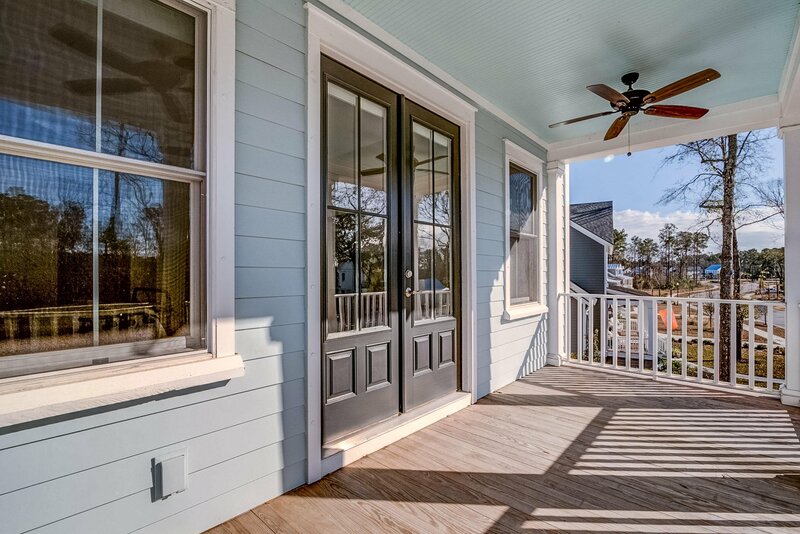 In addition, there is a screened-in porch off the back of the home that is perfect for dining al fresco or just relaxing while taking in the serene backyard setting. 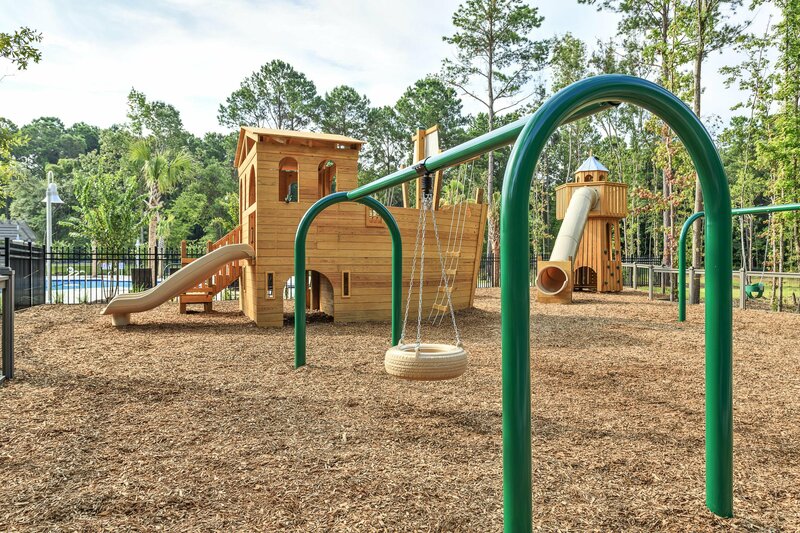 The professionally landscaped yard offers just enough space and privacy for kids and pets to play yet isn't overwhelming to care for. 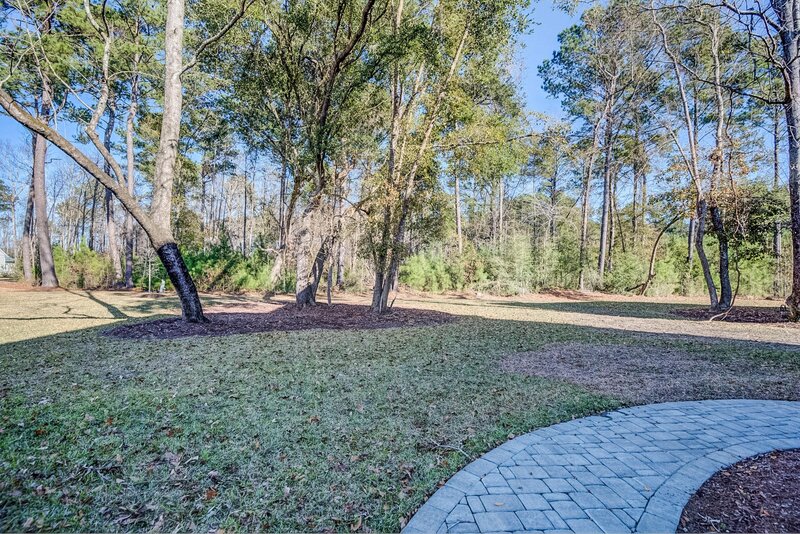 A detached two car garage is linked to the home with a custom stone paver pathway. 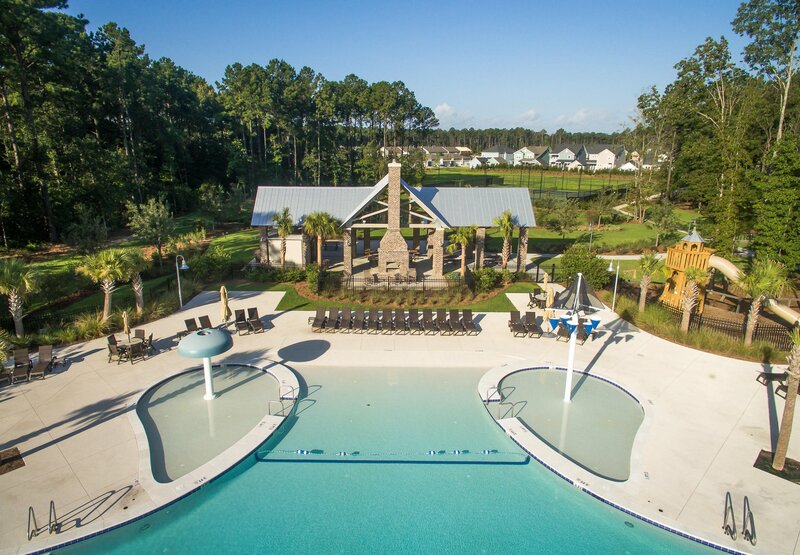 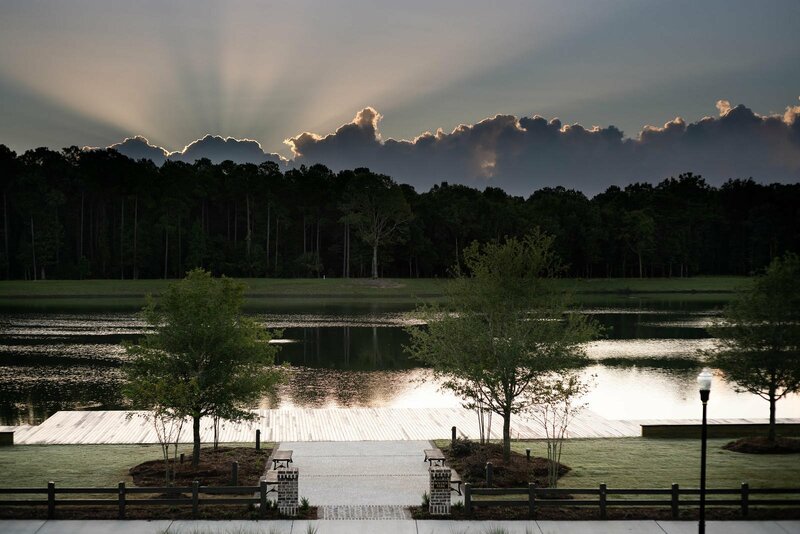 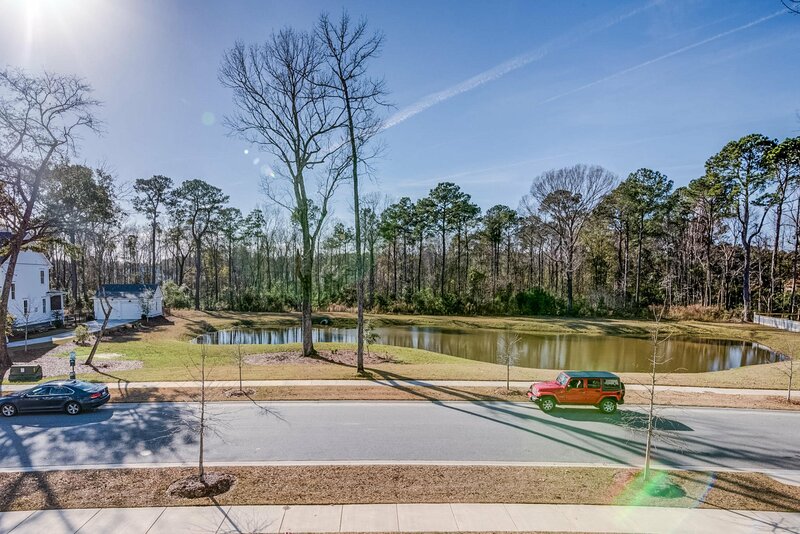 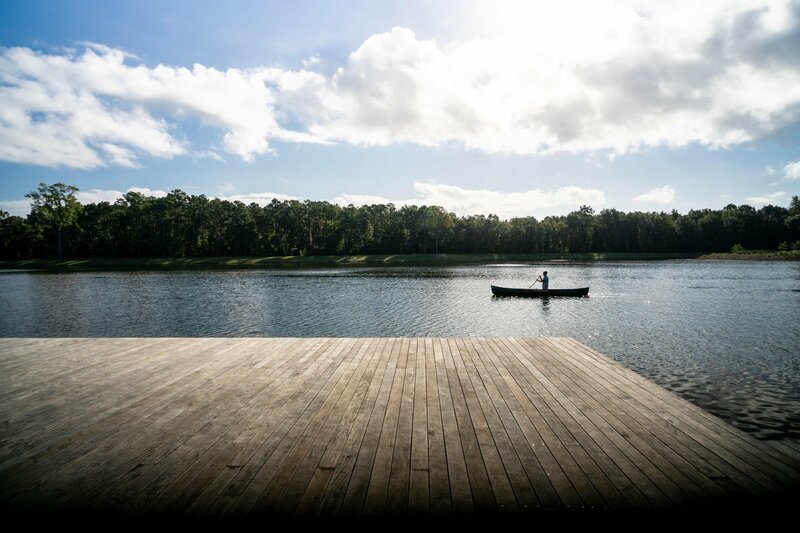 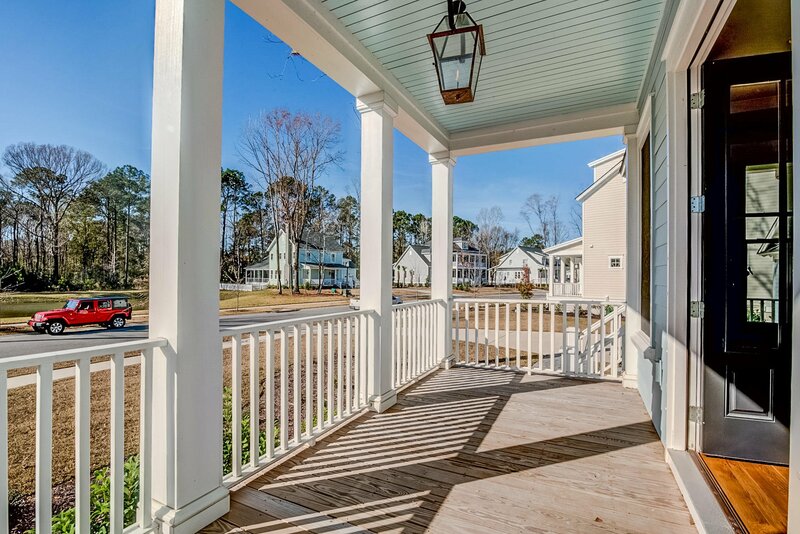 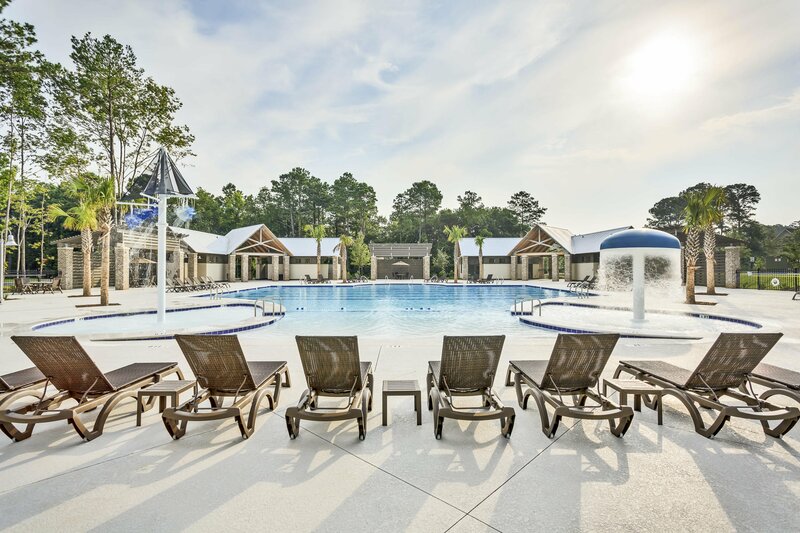 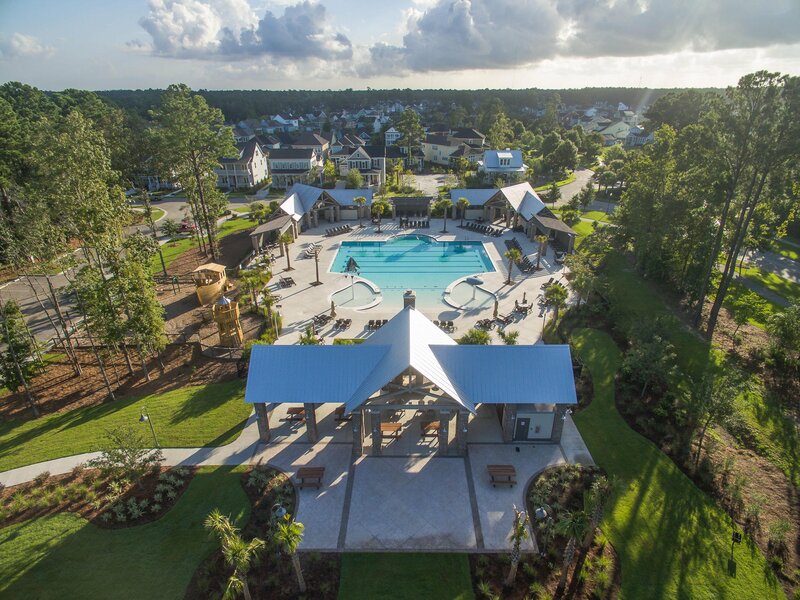 Located in desirable Carolina Park, you'll have access to luxury amenities such as a resort style swimming pool, tennis courts, children's play park, dog park, miles of walking/jogging trails, and 20 acre Bolden Lake with boardwalk and kayak launch. 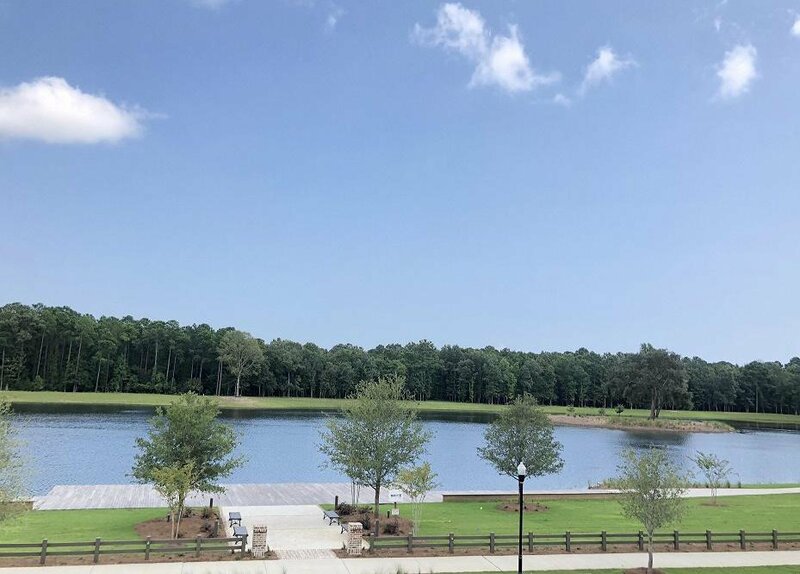 The new Carolina Park Elementary opened this year to join Wando High School, Wando Center for Advanced Studies, and Oceanside Academy. 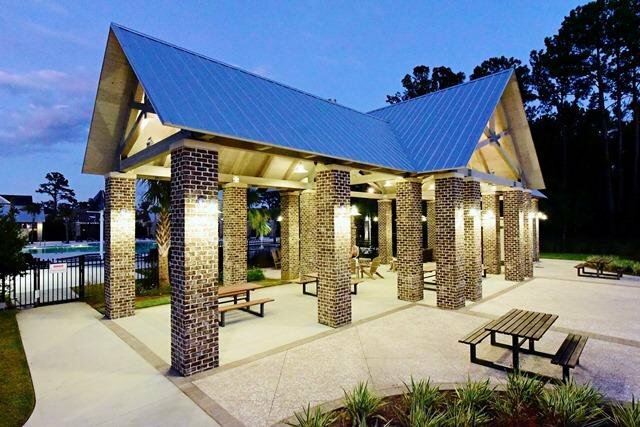 In addition, a brand new public library is slated to open later this year. 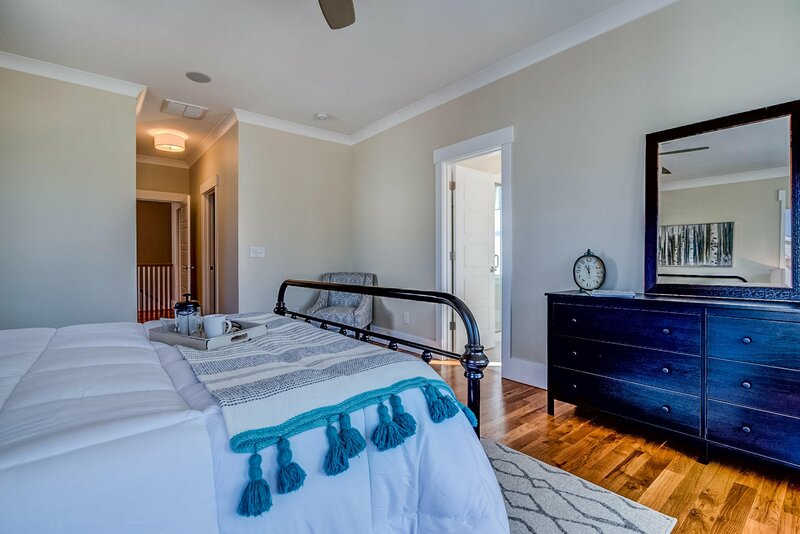 All of this and still close to beaches, dining, shopping and all of the world-class offerings of historic downtown Charleston.